"I truly — going into this morning, if I had to bet, I would've put money on myself," said The Good Place writer, who was nominated twice for her Emmy-seeking web series, as an actress and executive producer. She even tweeted on Wednesday night, "I go to bed tonight my last night ever as a non-Emmy nominee. I absolutely cannot wait to celebrate my #AnEmmyForMegan noms tomorrow. See you all soon." How will she campaign to win an Emmy? "I have a lot of really fun, really expensive marketing tools cooking," she said. "Definitely looking into a billboard in a more trafficked area. Mine was in Hollywood, and it was great, but I'm thinking more Times Square or something like that. 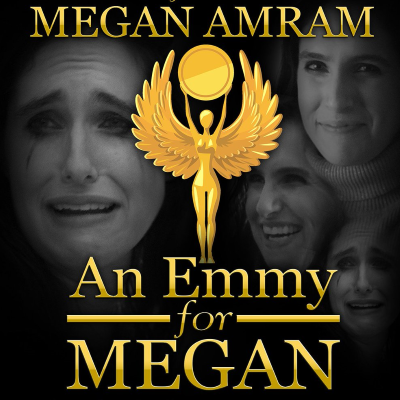 I also am considering a pop-up shop where maybe I can sell off-brand Emmy trophies so you can all have 'an Emmy for Megan' too. I am looking into skywriters. I am just gonna be calling in a lot more favors from celebrities. Julianne Moore already has filmed a little video in support. I'm thinking maybe the cast of Game of Thrones can start marketing for me rather than their show."